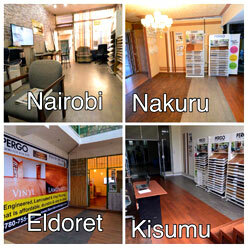 PERGO® is the leader and most recognized consumer brand of laminate flooring. The brand name PERGO® has become synonymous with superior quality, high performance laminate flooring. Remember, not all laminate floors are equal, so make sure you are getting genuine PERGO®–the brand of laminate flooring you know and trust. There’s only one PERGO®. Why PERGO® vs. the competition? PERGO® is the most recognized and preferred brand of laminate flooring. Invented over 30 years ago, and PERGO® continues to introduce innovative, fashion forward designs and exclusive performance technologies that are easy to live with. PERGO® is committed to being the leading laminate flooring company through state of the art products, industry leading warranties, and dedication to customer service. Is PERGO® laminate floor affected by water? PERGO® features TitanX™ surface protection that prevents absorption of water from the surface. For rooms with heavy water usage like kitchens and bathrooms PERGO® Luxury Vinyl Tile is a suitable option. With the introduction of PERGO® Sensation you get a laminate floor that is not fazed by water – it is the ONLY water proof laminate. Over what types of existing floors can I install PERGO®? PERGO® floors can be installed over wood, concrete, ceramic tile, tile, and vinyl sheet. In what rooms can I install PERGO® floor? PERGO® flooring can be installed in any room inside the house where the floor is solid and flat. Special precautions should be used when installing in some areas, such as bathrooms with showers and kitchens. How do I clean and maintain my PERGO® floor? To clean, an occasional damp (not wet) mop, quick sweeping or light vacuuming with the hard floor attachments are usually all it takes. Do not pour liquid directly on the floor or use an excessively wet mop that will puddle or leave moisture standing on the floor. Be sure to squeeze the water out of the mop thoroughly before mopping, and rinse the mop frequently. PERGO® floors must never be waxed, polished, sanded or refinished, and never use a steam, wet or jet mop when cleaning. Do not use detergents, abrasive cleaners, soaps, waxes or polishes. How easy is it to install PERGO® flooring? With PERGO’s dual-locking installation systems, a do-it-yourselfer can click together a living room size floor in about a day, and start enjoying it immediately. We recommend to you certified installers with proper tools and training who will complete the job professionally.